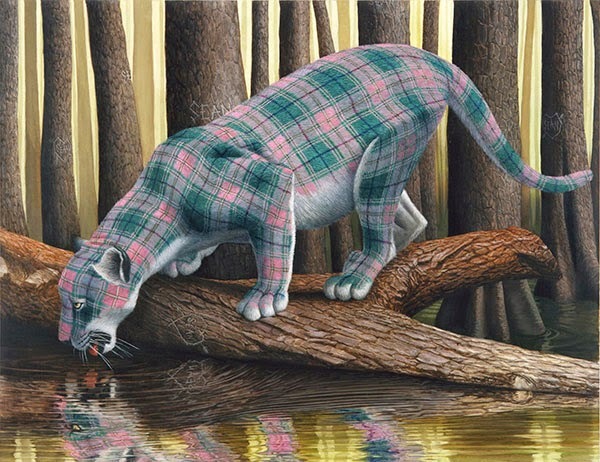 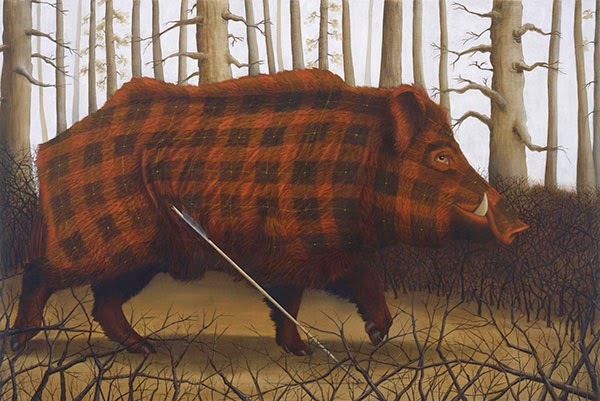 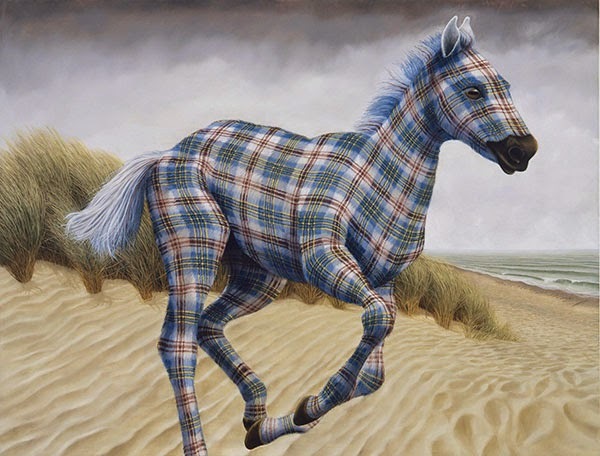 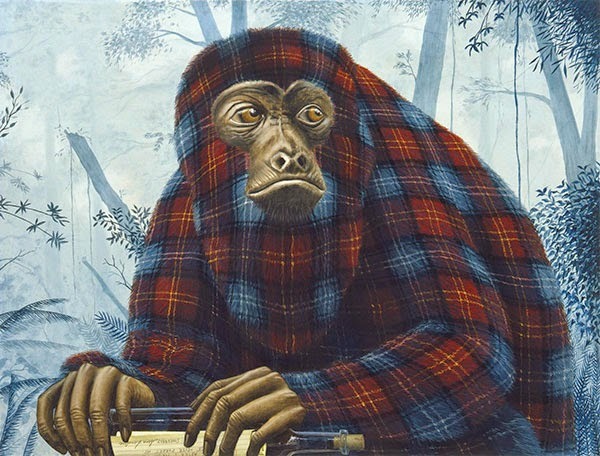 Surreal paintings of animals covered in a variety of Scottish tartan fur. 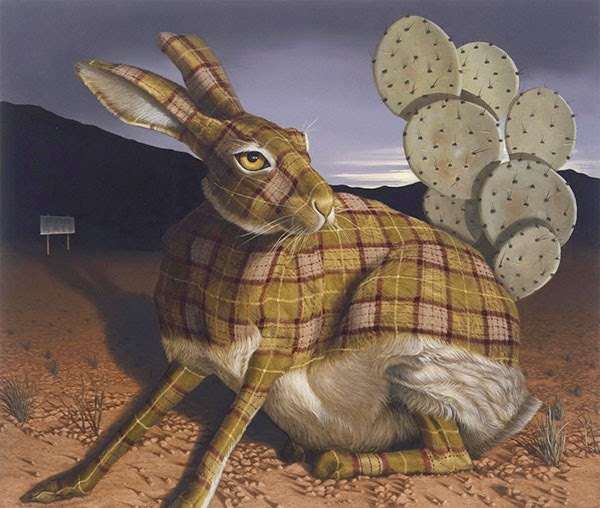 The animals represent certain attributes such as the image of a fawn to stand for progeny, a mountain goat for solipsism, and a jaguar for narcissism. 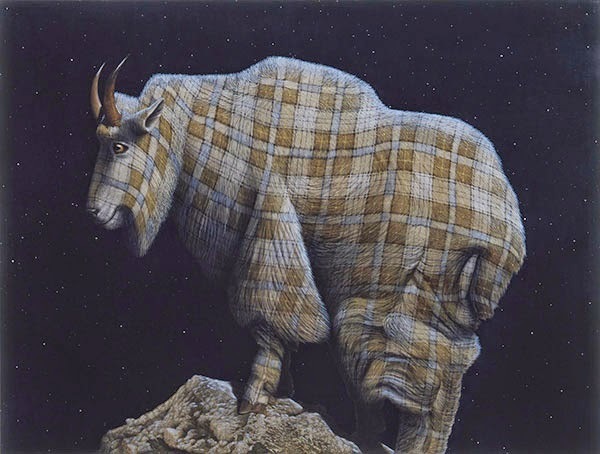 The works are a homage to Belgian surrealist René Magritte whose "vache" period marked a departure from his cool, detached style to a more caricatured one. 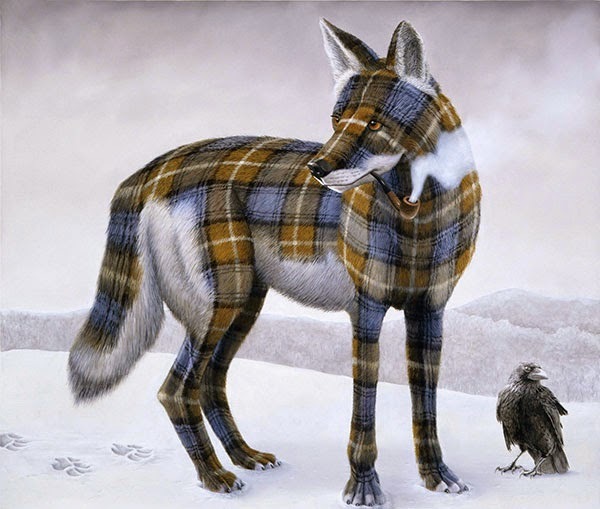 These tartan animals represent the first time that I ever thought of my paintings in such a deliberate parent-like fashion. 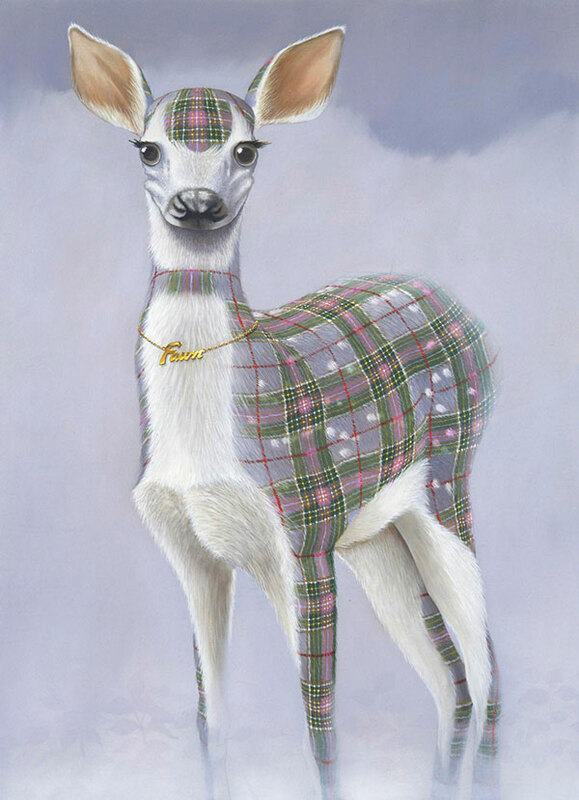 I have cloaked them in tartan fur to help protect them from indifference on their journey through time. 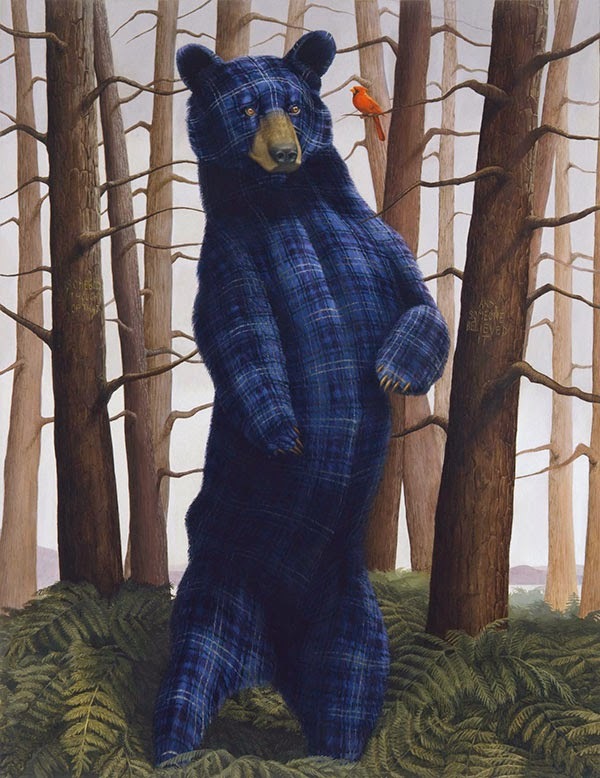 On view at Petzel Gallery Nov. 13 – Dec. 20.